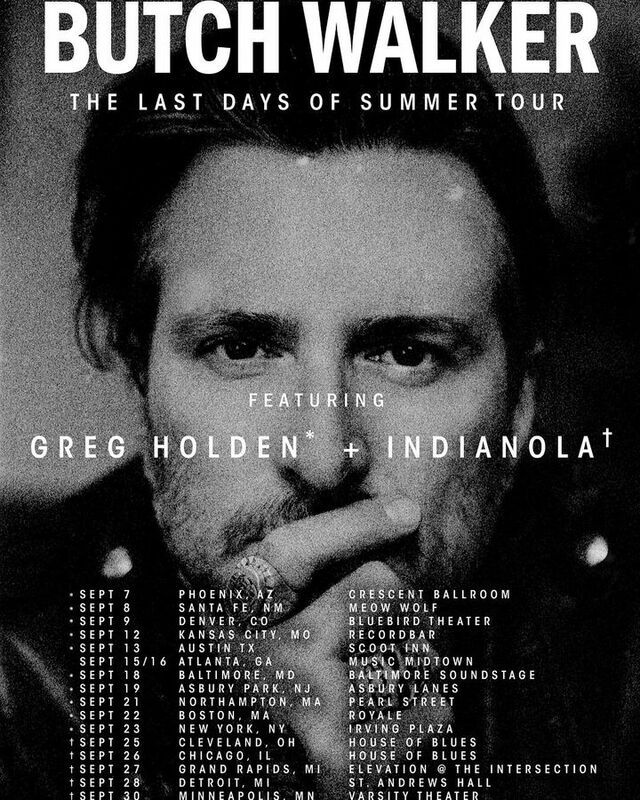 The Last Days Of Summer Tour!!!!!!! Track to know when Butch Walker is playing near you. A good gig. My first B.W gig in twenty years. It was worth the wait. I laughed, I CRIED, I danced my face off! Beautiful magical evening under the stars between the hills! This was an amazing event. The staff from The Autumn Leaves Project were courteous and mad sure everyone was taken care of. Butch was in fantastic form and put on an absolutely amazing show. The special guests were equally entertaining. This will be an ongoing venture for myself and I'm sure a hundred other fans. Great job Butch !! Butch Walker always delivers a top notch show. I never miss his concerts and you shouldn't either. Nothing less than incredible each and every time. Butch never fails to make it a party. What a show! First time I’ve seen Walker and he did not disappoint! He played songs from all over his vast catalogue. Did an encore and then played a few acoustic songs on the floor after the show. He was up close and personal AND he put on a show like only a rockstar could. Last of a dying breed.